Still Life with Fruit. Or Fruit Series #1. Or Strawberry on Blue. I’m not sure how best to describe these mini masterpieces. These petite paintings were a product of a craftathon weekend with our cousins. 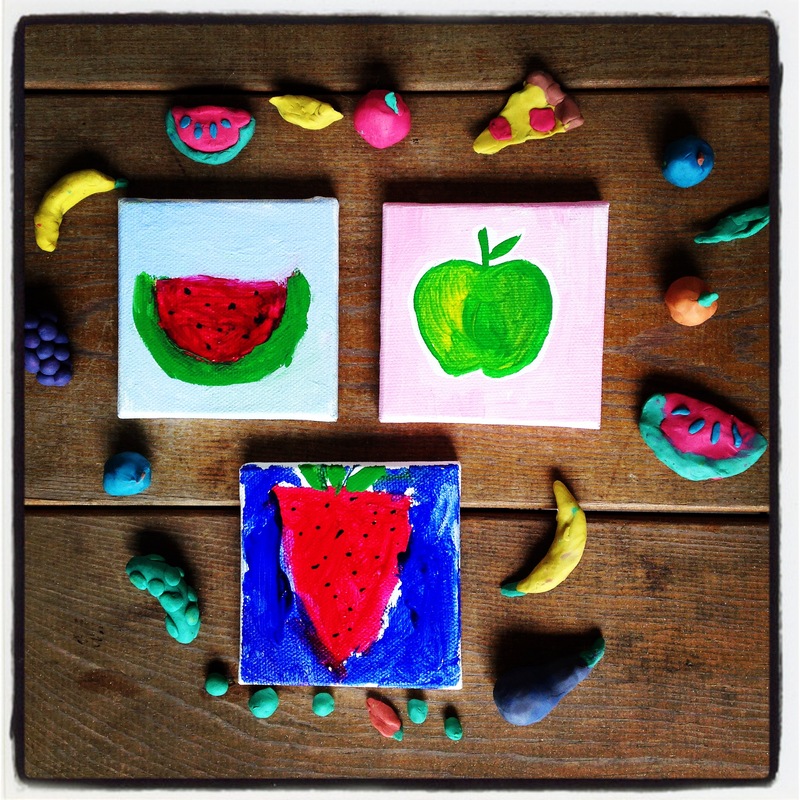 Our fruity theme inspired a modeling-clay cornucopia of summer produce as well (and one slice of pizza, above). Except one cousin, a true artiste, who went his own way. May I present to you: Man with Scythe. 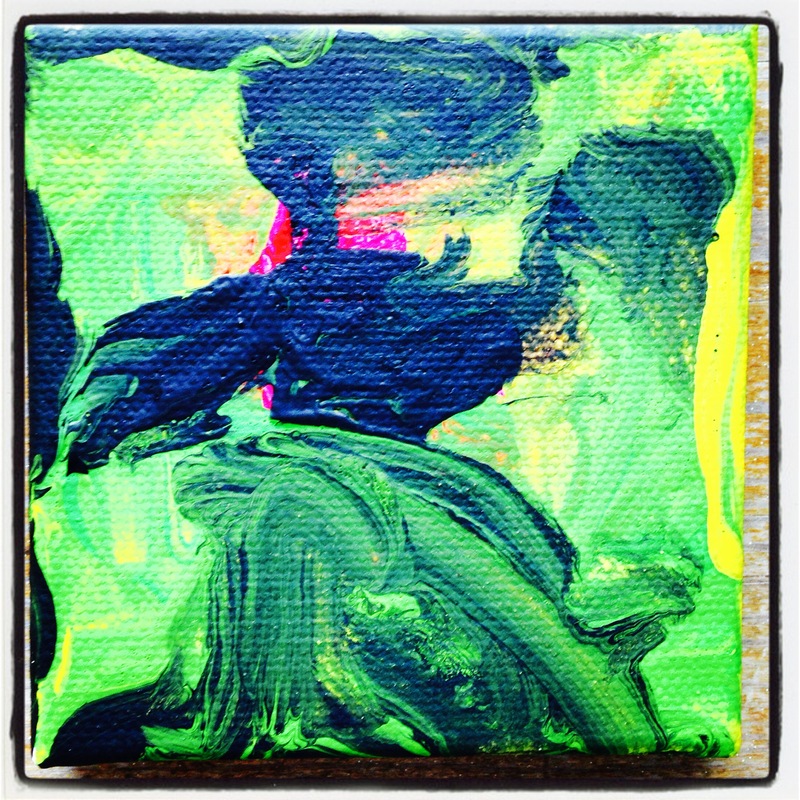 I bought the 2 x 2″ canvases at my local craft store, but you can get them online here at Blick Art. The canvas comes prepped for acrylic paint (or oil paint if you have a lot of chutzpah/hubris). 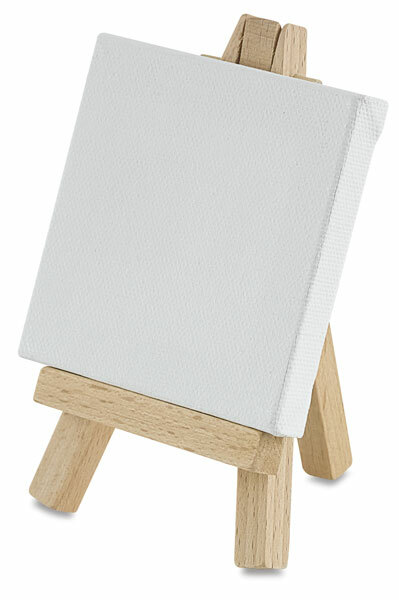 You can also purchase little easels for display–very sweet.